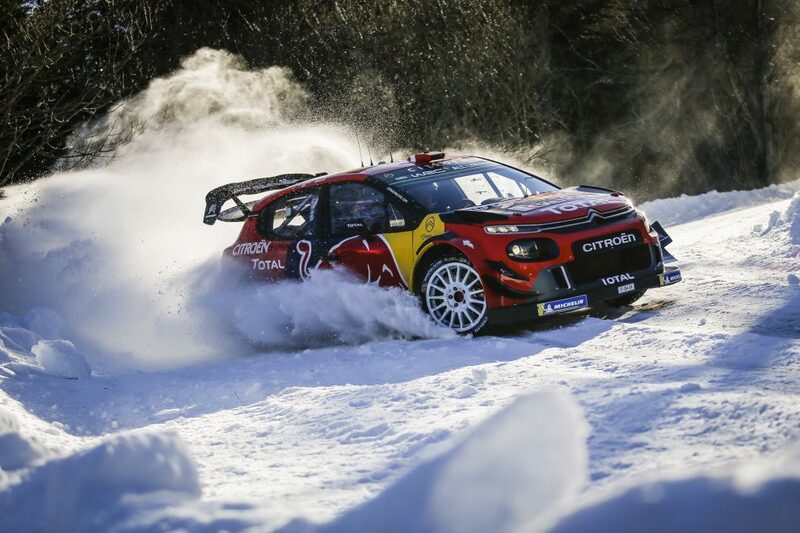 The WRC season’s traditional opening round, Rallye Monte-Carlo is also one of the toughest challenges faced by the crews – a winter event held in unpredictable conditions. With Sébastien Ogier – Julien Ingrassia and Esapekka Lappi – Janni Ferm in the team’s two C3 WRCs, Citroën Total World Rally Team will be able to count on the six-time world champions and rallying’s most promising crew to do the team proud. Citroën Racing’s technical team has done everything to help its new crews rack up as many miles as possible and start the season with confidence. Both crews had three and half days of specific testing with the C3 WRC – generally covering more than two hundred kilometres per day – in order to run through the wide range of set-up options available. The pre-event tests were held on slippery, dry and wet tarmac, snow and ice, in other words, all of the difficulties that Monte is capable of throwing at you in a single stage! The efforts made confirm Citroën’s determination to up its game this season and quickly pass the milestone of a hundred WRC wins. Understandably, as the defending six-time world champion and winner of the Rallye Monte-Carlo for the last five years, Sébastien Ogier represents the team’s greatest hopes of success at Monte. The local hero, who has proven time and time again his ability to adapt to conditions, has become an expert at reading the local roads and their countless variations in grip. With three appearances at this round, Esapekka Lappi does not possess the same experience as his French team-mate. Building on his impressive performances in 2018, during which he scored three podiums, the 28 years old Finn is determined to keep improving in what will be only his second full season in the WRC. This year’s route, whilst more compact, actually spans five French departments – the Alpes de Haute-Provence, Hautes Alpes, Drôme, Isère and Alpes Maritimes – and once again promises to provide plenty of difficulties and uncertainty. In fact, almost 47%of the stages have been revised, whilst Thursday evening’s stages, held after nightfall, are completely newthis year. The Valdrome – Sigottier (20.04km) and Curbans – Piegut (18.47km) stages, held on Friday’s leg, are also brand new for 2019.